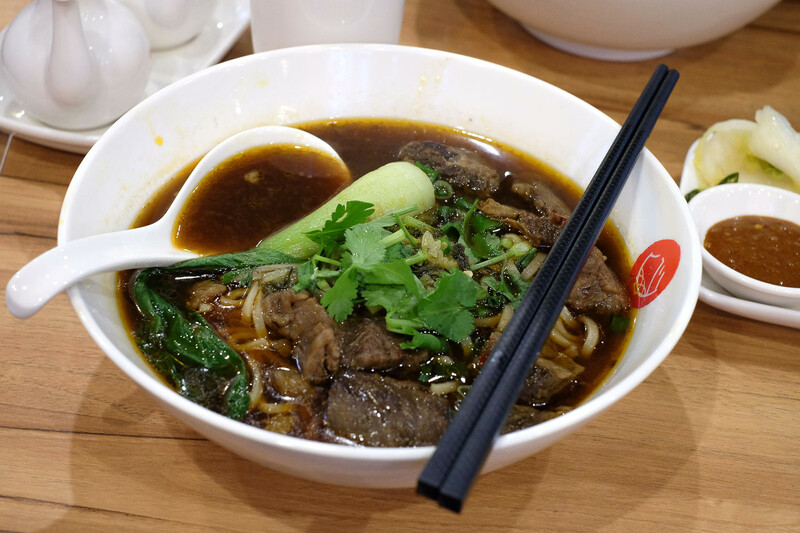 Taiwanese beef noodle soup gets further established in Chinatown with the opening of Hsin Shih Tang. This hearty beef broth and noodles with a sprinkle of pickled mustard greens should be on your noodle soup slurping list. 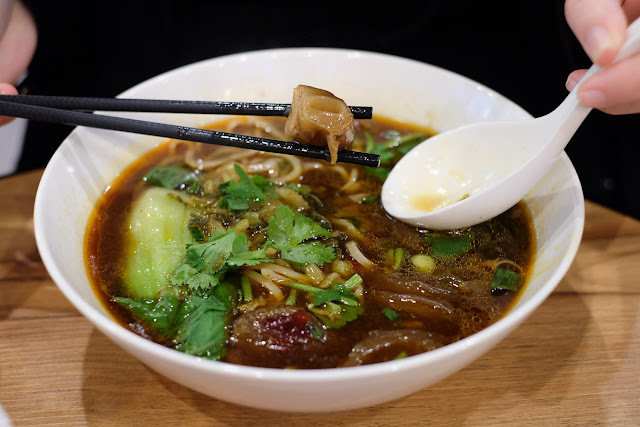 After a couple of site turnovers as a Barby's and then St Honore Bakery, this prime corner site on Sussex and Goulburn is a fresh new Taiwanese soup joint. 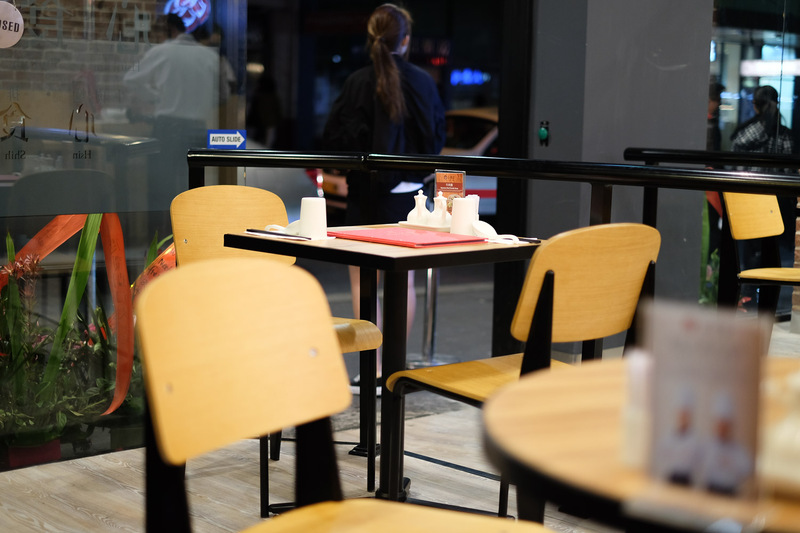 Part of the Taiwanese chain store group including EasyWay, 85 Degree, Just Fry and Meet Fresh, it has a slightly formal feel to the welcome and customer care but firmly remains a fast casual food store. This is a chain in the making, the first site in Sydney, and will probably start spreading out to Hurstville and Chatswood soon just like others in the stable. There's a clean and fresh feel that most probably comes from the new fit out and scrubbed shiny clean faces of the friendly staff. You are greeted at the door, seated and offered fresh hot Taiwanese green tea, an opening special we are told. Nice. 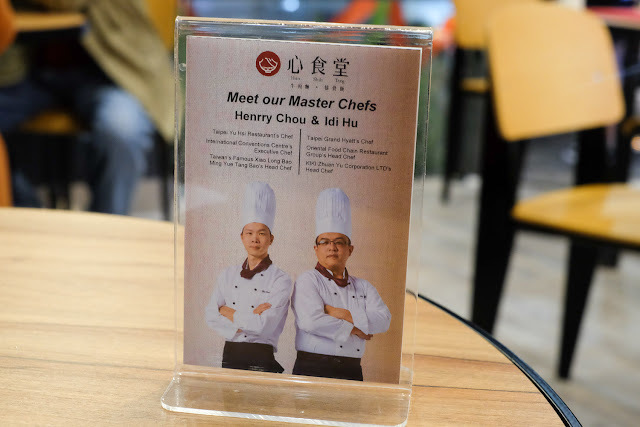 While we doubt these guys are out the back slaving away making noodle soups, we appreciate the attempt to build the idea this place has some class. 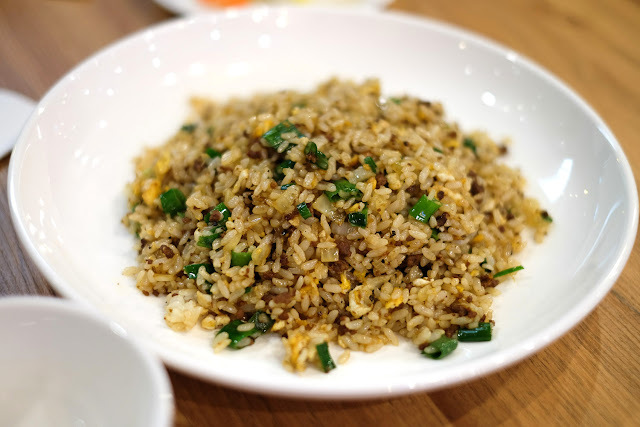 Beef fried rice - $11.90. On our first visit here we were really craving some fried rice, and this version hit the spot. Fragrant with white pepper and filled with a good mix of beef mince and green onions, it also had just enough oiliness to be a little fatty and fried rice satisfying. Taiwanese kimchi - $4.90. Slightly sweet pickled cabbage with pieces of carrot and green and red chilli. Spicy bean curd strips - $4.90. We love this side dish to bits but not in too many bits. 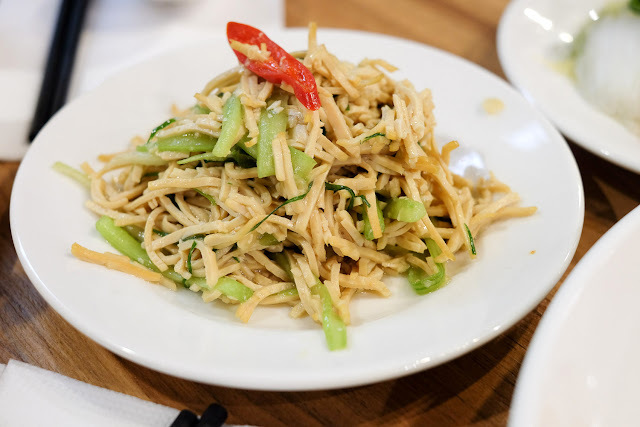 This version had a light dressing and crisp greens but the bean curd was just a little too chopped so that it was hard to pick it all up all easily. 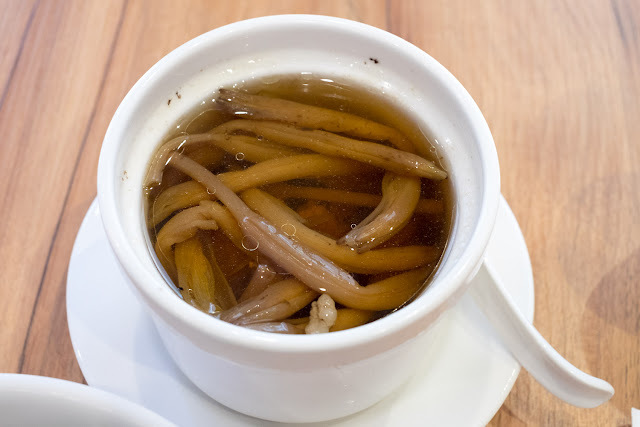 Zha Jiang Noodles - $9.90. 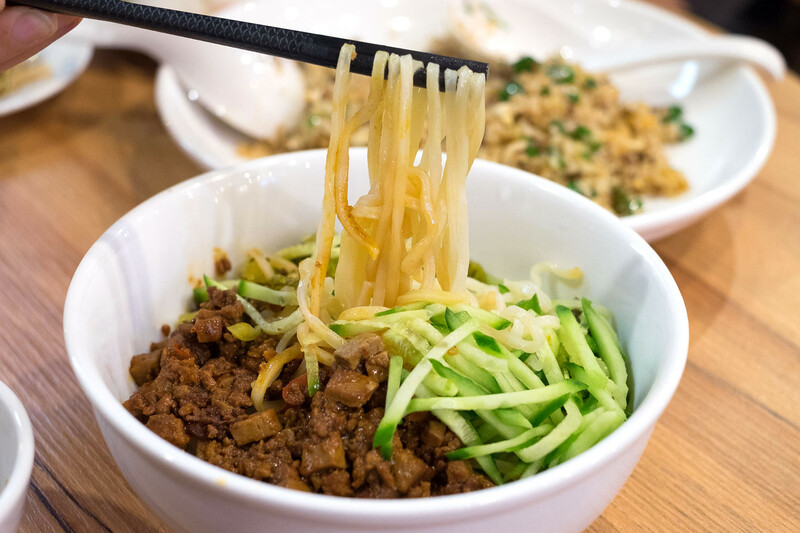 A bowl of noodles topped with strips of shredded cucumber and a generous amount of stewed chopped pork is a classic dish. 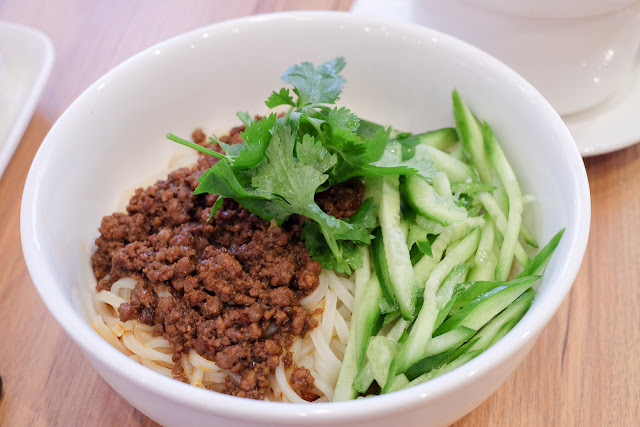 Beef noodles - $9.90. A cow based version of the Zha Jiang noodles, it's like spicy skeddi. Signature braised beef noodle soup - $13.90. A classic Taiwanese beef noodle soup, this one has a quite a tangy pickled veggie punch. What we love about Taiwanese beef noodle soup is that every version is different, unlike Vietnamese Pho, we feel the urge to try them all. Beef tendon noodle soup - $13.90. Similar to the signature soup, though less tangy with the added textural marvel of beef tendons. Lily flower & spare ribs soup - $5.90. A light'n'dainty soup with a little slow cooked pork and very edible lily flowers. The wait-dude tells us this soup is medicinal, it cleans out your gizzards, changes your spark plugs and even tastes good too, slightly meaty, slightly sweet. There's three of these smaller soups on the menu, great as a light snack or as a side dish - works particularly well alongside the dry noodle dishes. 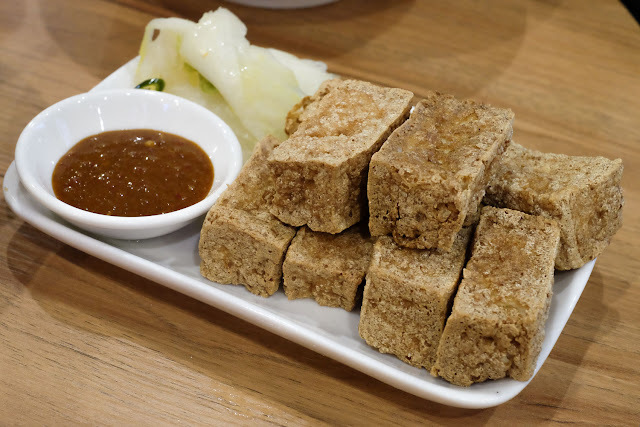 Fried tofu - $5.90. While this ain't the stinky version, the crisp texture of the tofu was spot on. The dipping sauce was without funk as well, so all clear on the usual Taiwanese tofu stink zone. 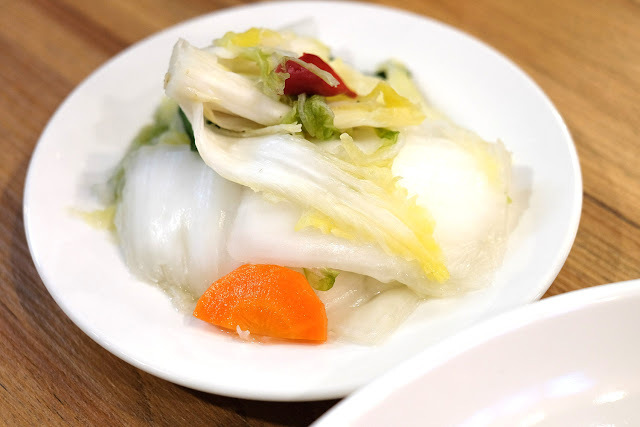 The side of pickled cabbage was generous, better to get this than order the side of Taiwanese pickles. 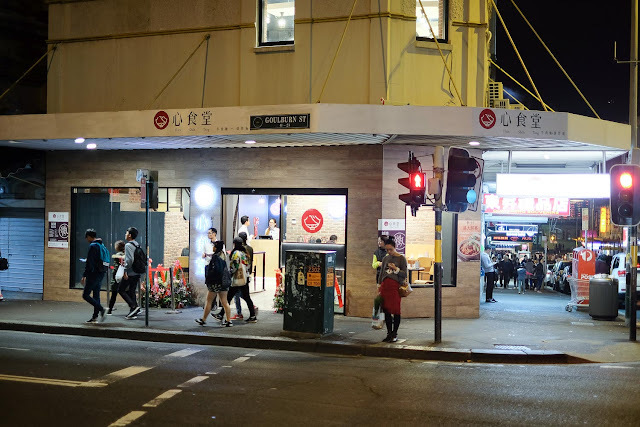 Hsin Shih Tang is at 23-25 Goulburn St, corner of Sussex Street, Chinatown/Haymarket. Have been waiting for this place to open for ages. So sad it's no longer a bakery - I still remember when it was Maxims! - but welcoming some more Taiwanese action in Chinatown. Bakeries have sadly depleted in Chinatown of late, guess with the doughnut/watermelon cake/macaron fads they can't compete. best ever Zhe Jiang Noodles i have ever tasted.